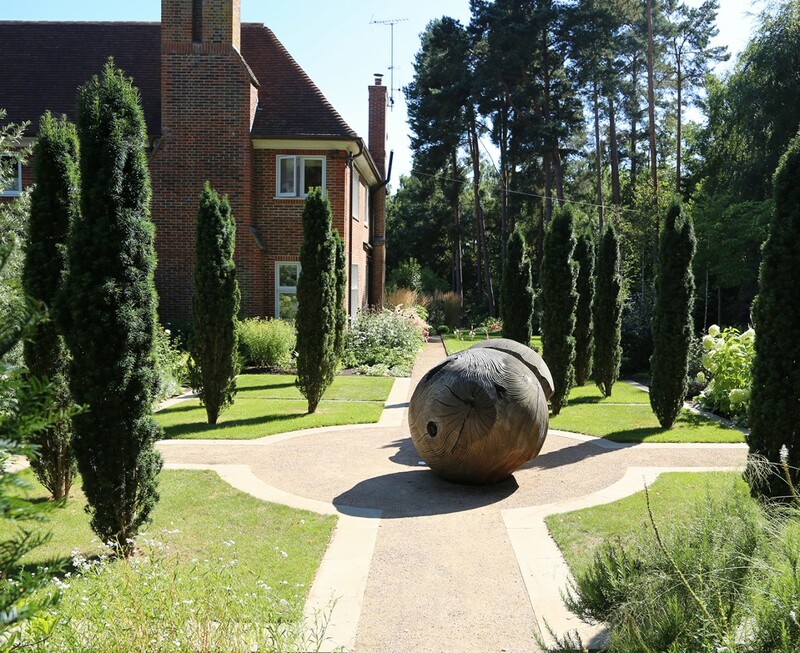 The recently extended and renovated house felt somewhat adrift in its plot and needed a visual anchor to connect it with its surroundings. 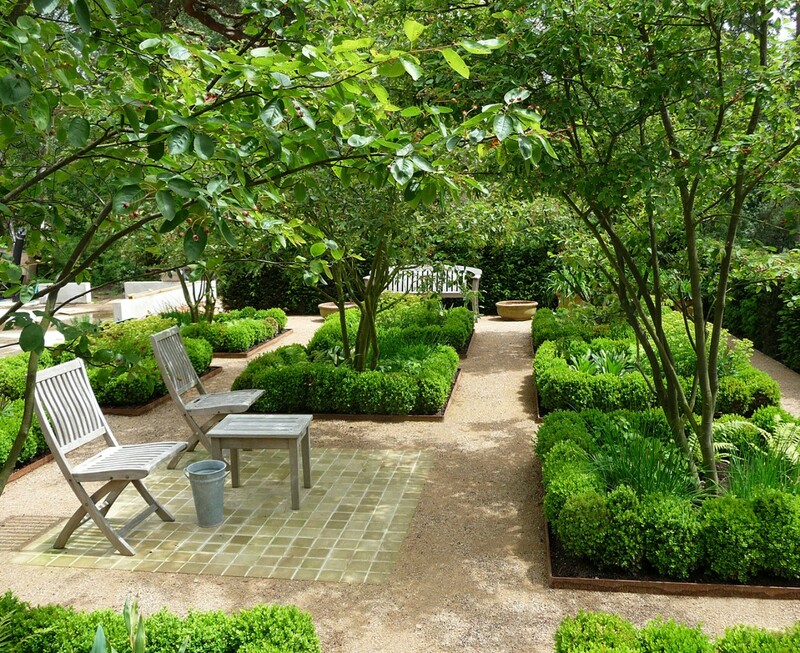 The client was an admirer of Hidcote and so the idea of having linked garden rooms with their own identity was born. 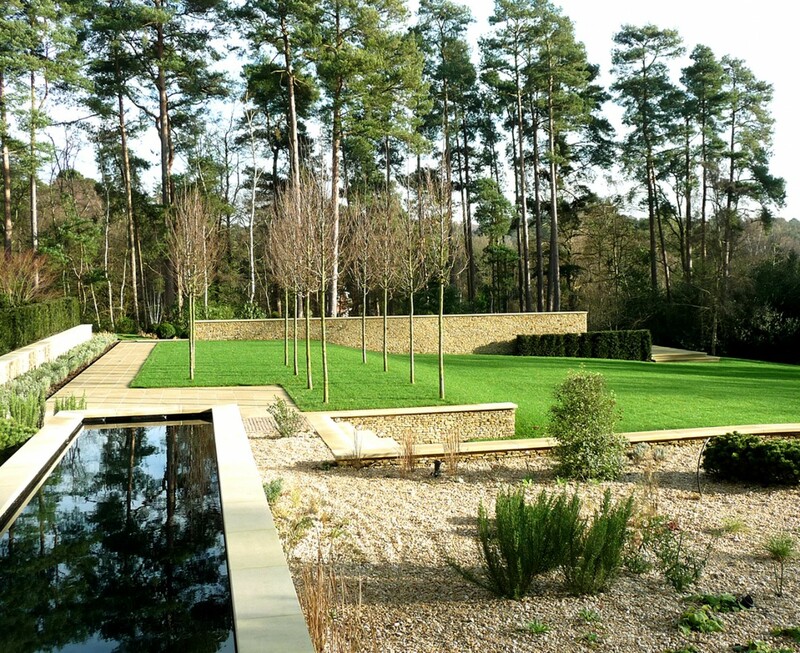 Close to the house, the design was more formal, using fastigiate trees planted on a grid, hedges and hard landscaping to give structure and to define the different areas. 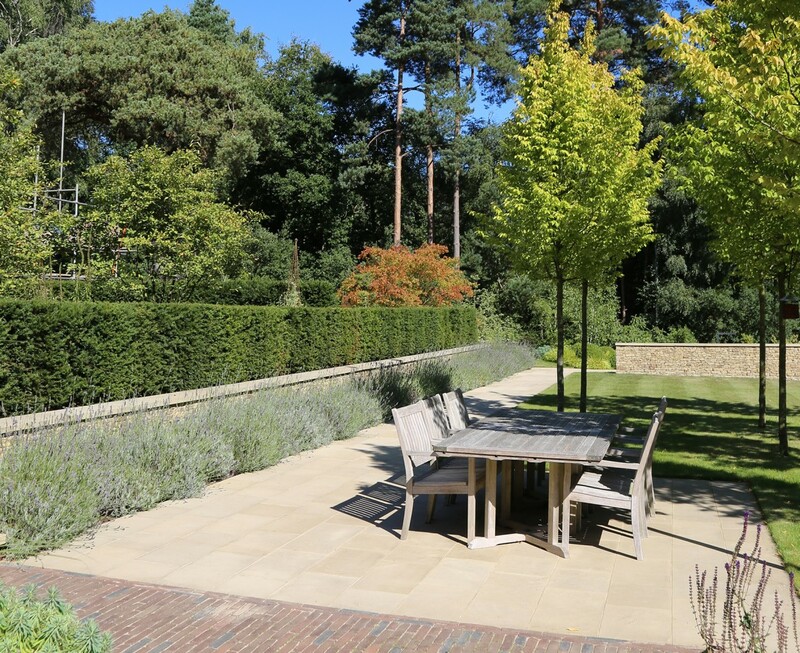 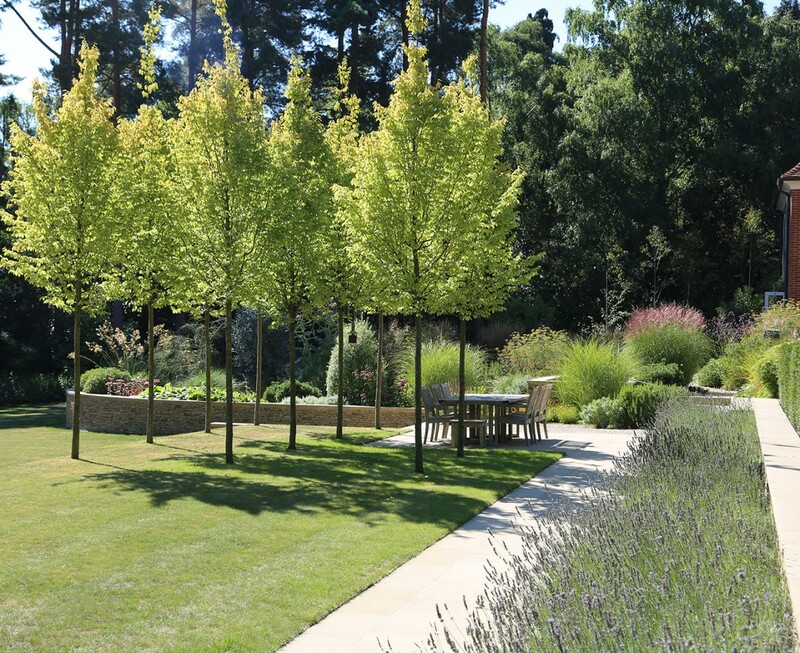 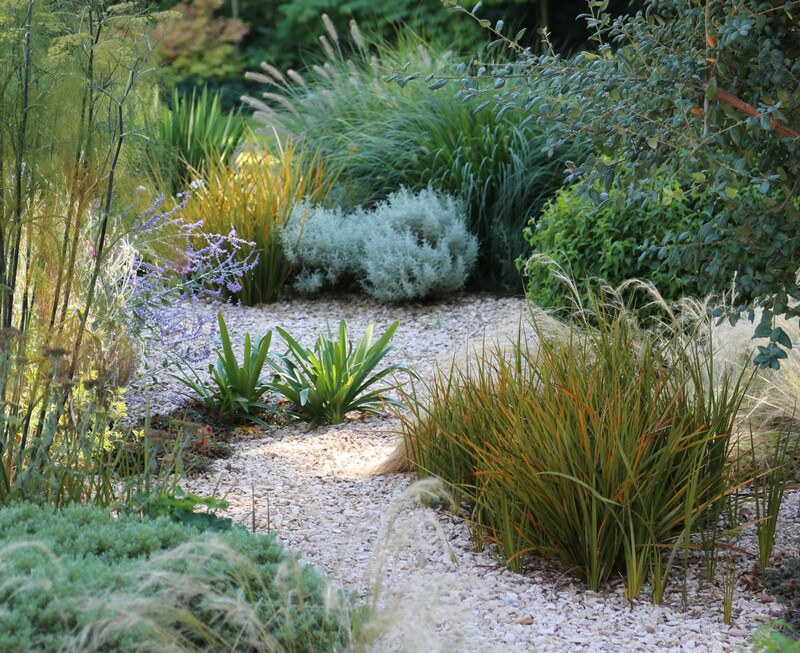 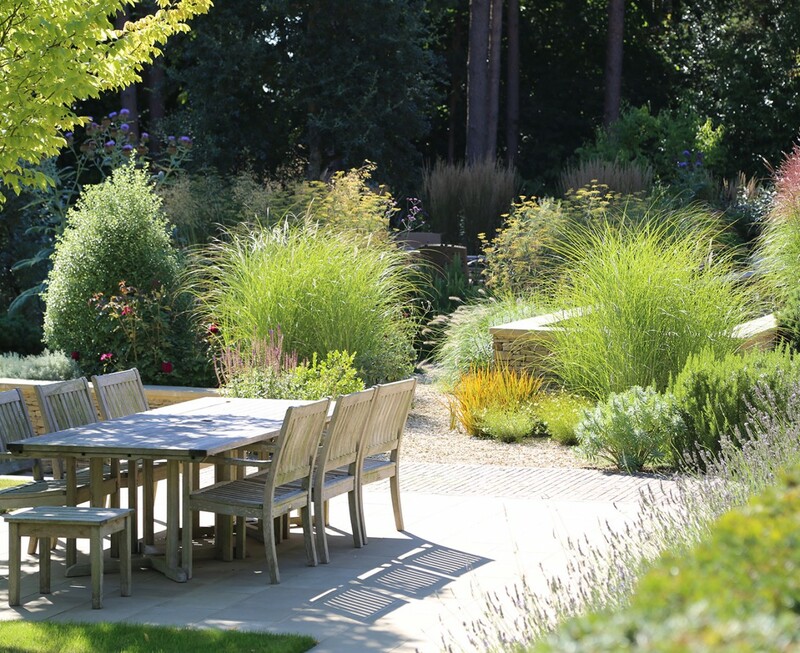 Outside the kitchen, a parterre of box squares with mixed herb and perennial planting and multi-stemmed Amelanchiers provided an intimate, shaded place to sit. 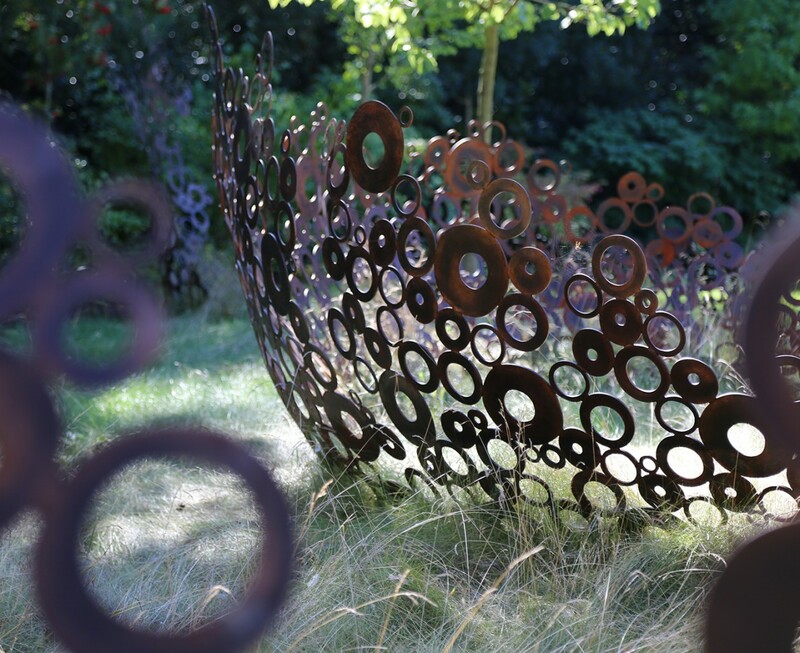 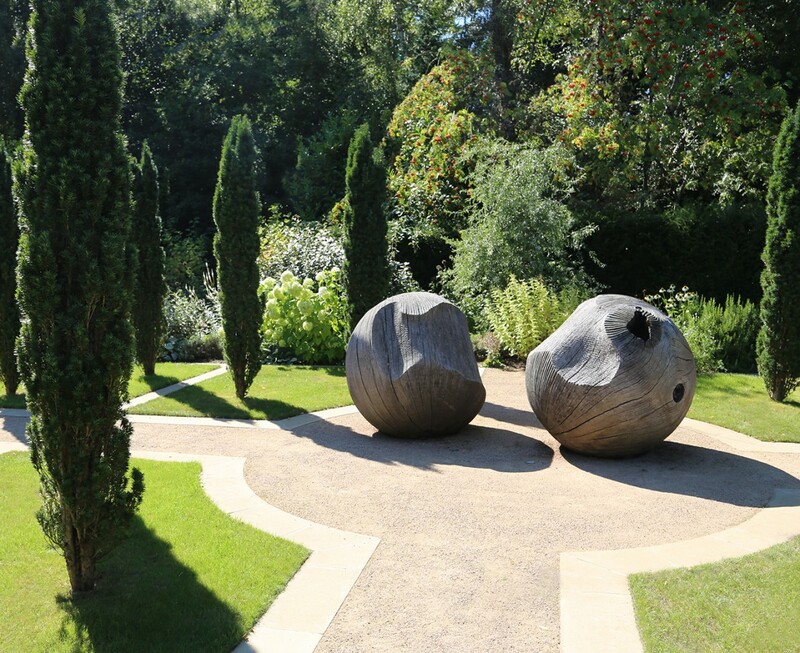 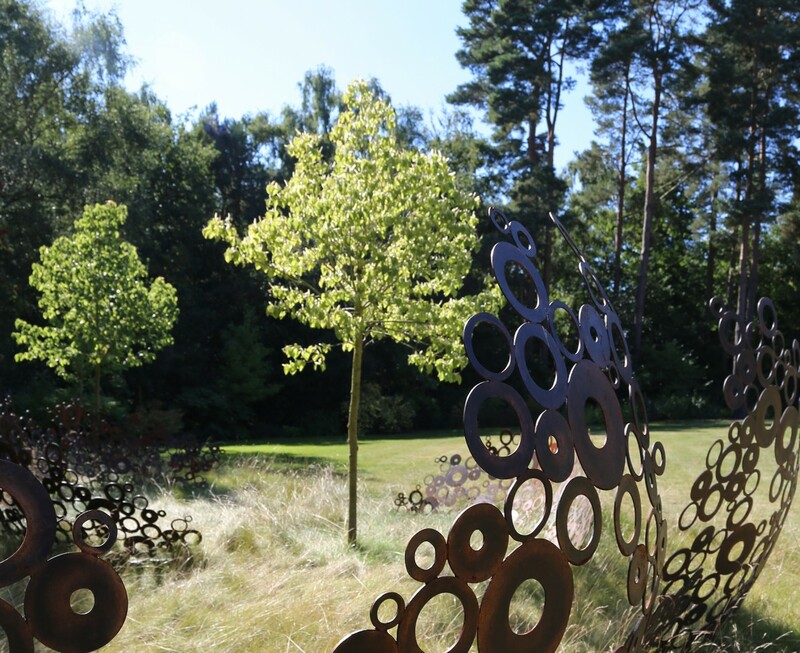 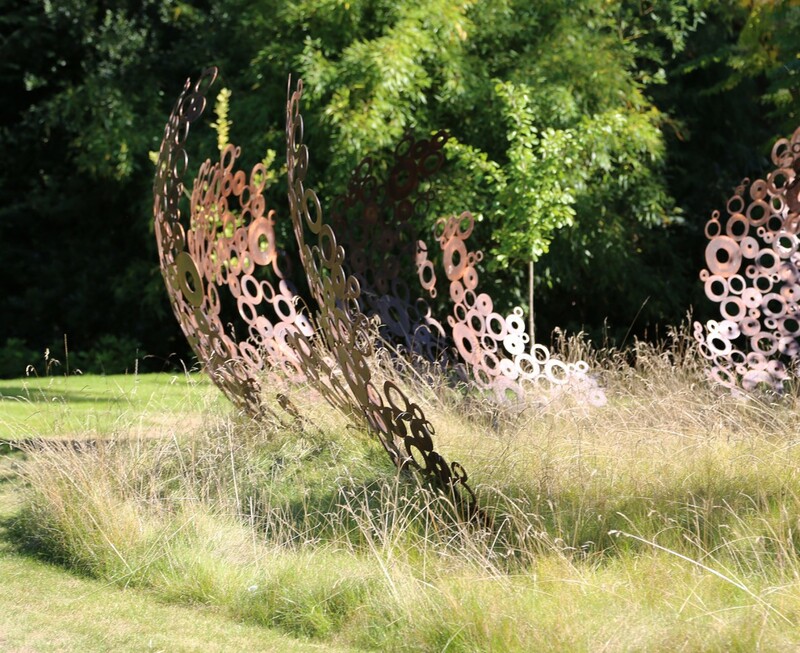 Further afield, a woodland walk, flanked with tree ferns gave a different perspective on the garden and led to a small orchard with longer grass, bulb planting and a sinuous copper ring sculpture rehoused from our Chelsea 2012 garden. 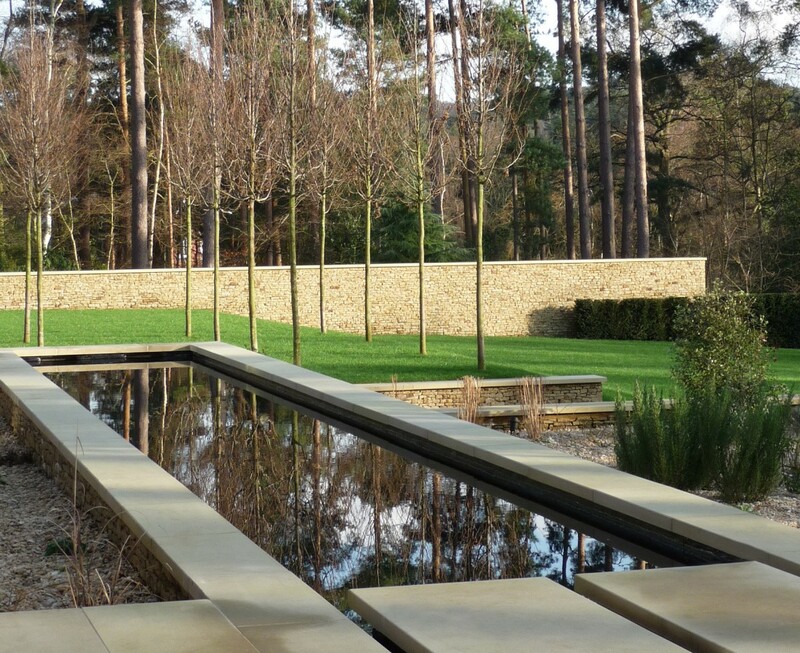 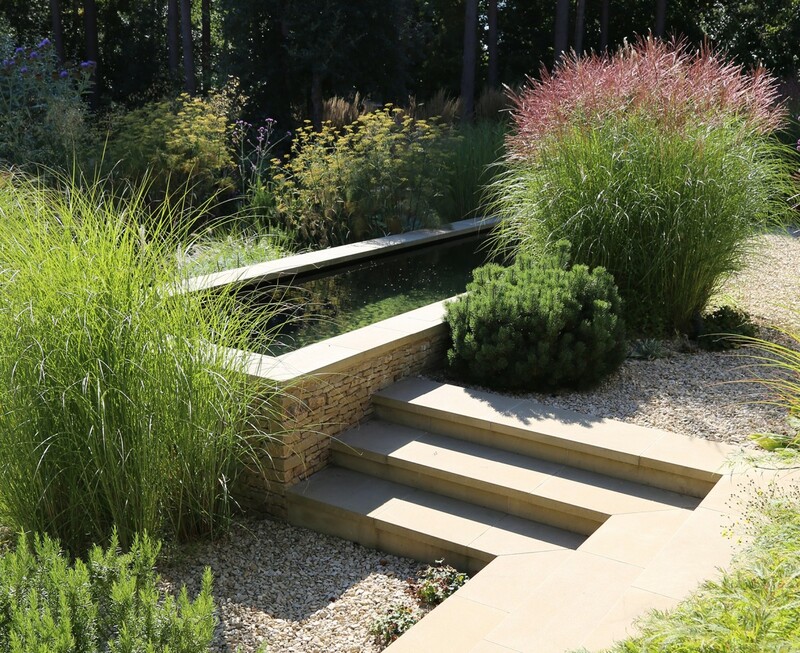 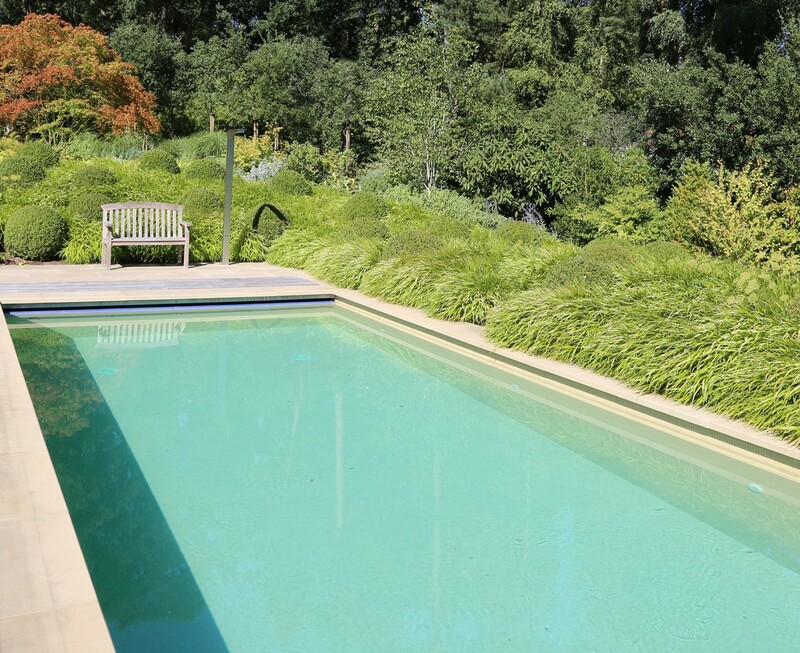 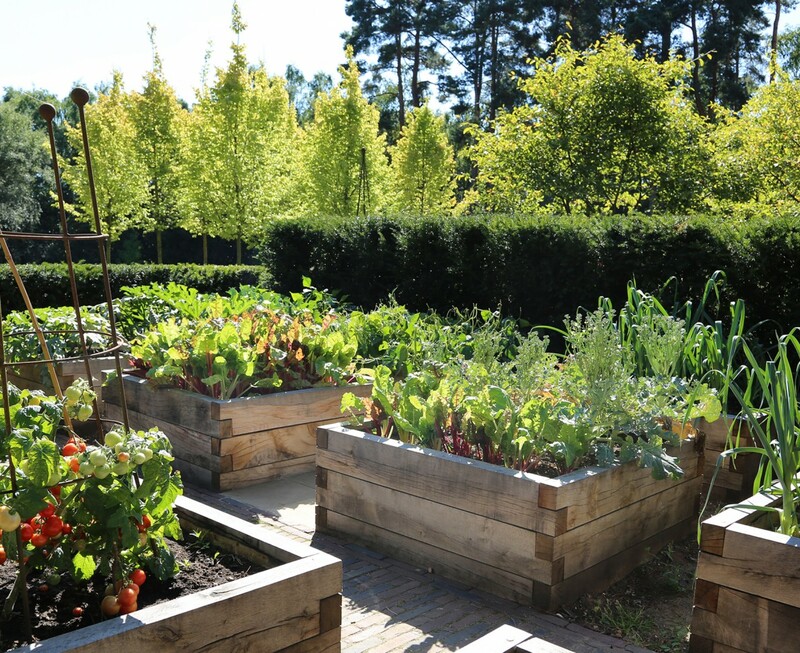 Other garden areas included a white garden and a gravel garden where a long raised rectangular pool capitalised on reflections from the tall pine trees that surrounded the property. 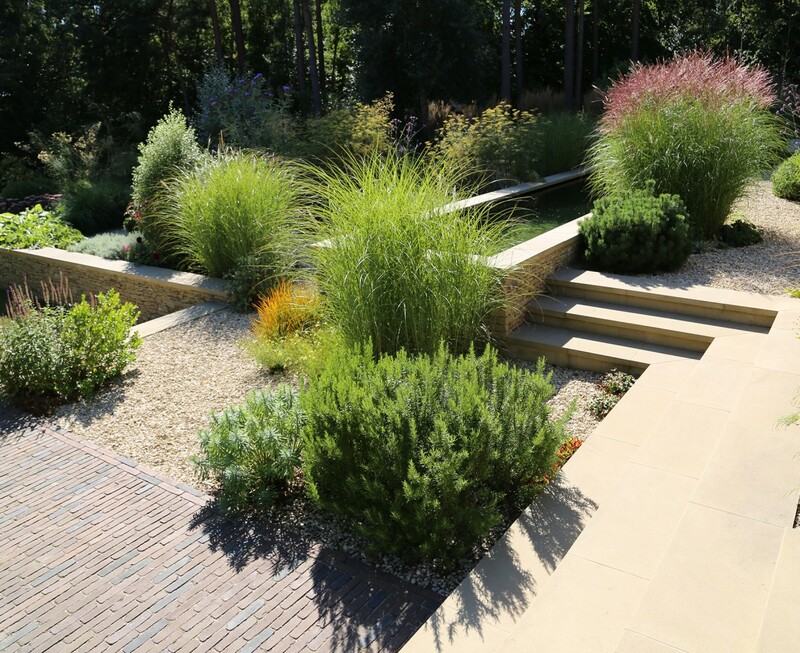 Dry stone walls made from local stone were repeated throughout the garden to create a visual link across the various garden themes.